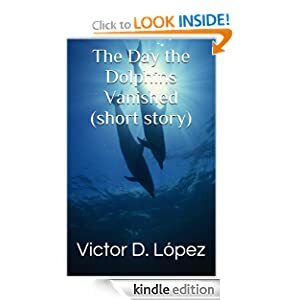 The Day the Dolphins Vanished – free for Kindle today only (8/3/2013) | Victor D. López, J.D., Esq. The Day the Dolphins Vanished, a short story from my Book of Dreams Second Edition: Science Fiction and Speculative Fiction Short Stories, is free from Amazon for the Kindle reader today only (Saturday, August 3). You can get it here.